Government news releases containing important national economic data can have major effects on the Forex market causing price to sometimes spike by hundreds of pips within a matter of minutes. The volatility produced by these events offer traders the chance to make substantial profits. However, they also generate conditions during which losses can be sustained especially for the inexperienced. The dates and times of all the important releases are published well in advance and are accessible to everyone. Your Forex broker will normally provide you with this information in the form of an economic calendar, as shown in the next diagram. In addition, predicted values and expert advice is provided for each important release. If you are able to correctly predict how a release will affect the currency markets, then you could make serious profits. However, in reality this is a not so easy to achieve. Interest rate decisions and the US unemployment figures have the most effect on currency movements. You can obtain access to the released figures as quickly as the big institutional traders. This is important as the effects of news releases can be quick and short-lived. However, small traders have the same chances as big financial institutions to attain good profits from this type of trading. 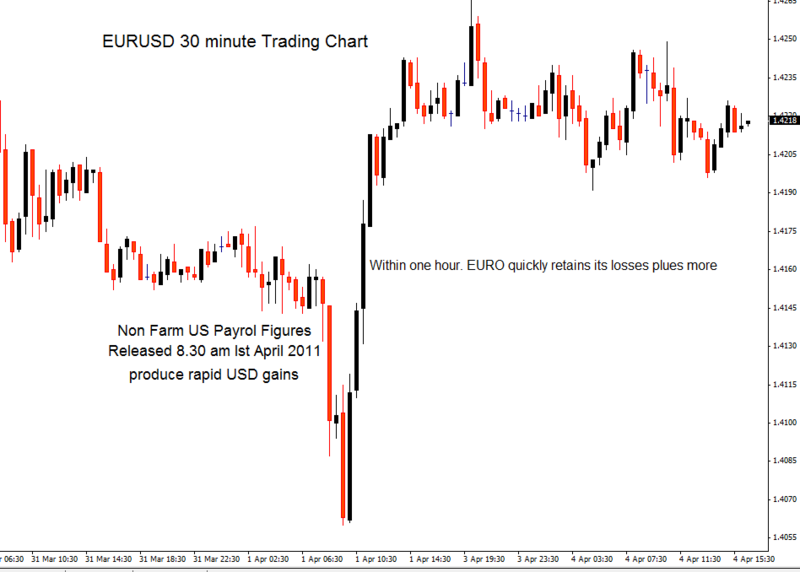 The above diagram shows the dramatic effect on the EUR/USD currency pair resulting from the release of the US non-farm payroll data. The better than expected figures create a surge in the value of the USD against the Euro. However, this effect was reversed shortly afterwards. Price spikes as shown above happen often after important fundamental data is released. Consequently, traders must be on the guard in order to ensure that their positions are not stopped-out. You can improve your chances of success if you learn how to detect the consolidation phase of the currency pair just before a news release. Price tends to become more stable at these times because the market is anticipating the release. Traders are hoping that the event will increase volatility that is capable of creating a breakout with sufficient momentum to cause a price surge. 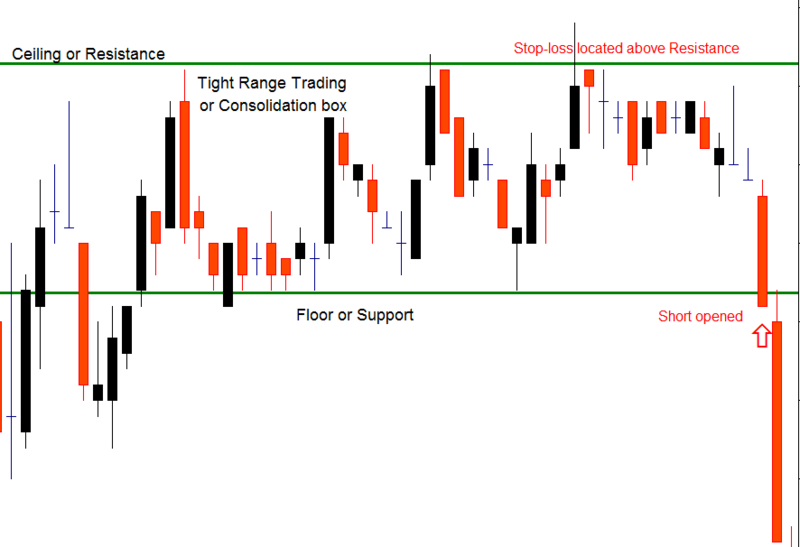 You can identify such a consolidation box just before the news release in the above diagram. This activity can be quite dangerous though as fundamental news events are notorious for producing whipsaw price movements. This is because, in many cases, the market takes an instant view of the headline figures but reverses its decision soon after it has analyzed the details. To combat such effects, you must have a well plan stop strategy in place based on well-tested risk and money management concepts. However, trading news releases can be a very lucrative activity if performed correctly. Basically, there are a number of ways of performing this task. When performing any Forex fundamental news strategies, you need to focus on those major news releases that are capable of generating large increases in volatility and, as such, provide the best opportunities of good profits. You can profit by pre-trading news releases. To do so, you need to identify the trade conditions that are present before the news is released. As previously mentioned, price normally tends to stabilize into a consolation pattern just before the event. This means that price is trading within a tight range that is capped between a ceiling or upper resistance and a floor or support. You will then have to set two pending entry order with the buy about 10 pips above the ceiling and the sell 10 pips below the floor. These orders need to be self-cancelling so that the activation of one cancels out the other. Your bull stop should be 5 pips below your sell entry value whilst your bear stop should be 5 pips above your buy entry order. Many successful traders prefer to use an open profit target with such a strategy because major news releases can generate significant pip movements. Consequently, this strategy provides good opportunities for capturing the largest profit possible. However, as fundamental events are notorious for whipsaw actions, you should be prepared to move your stop-loss to break-even as quickly as possible. 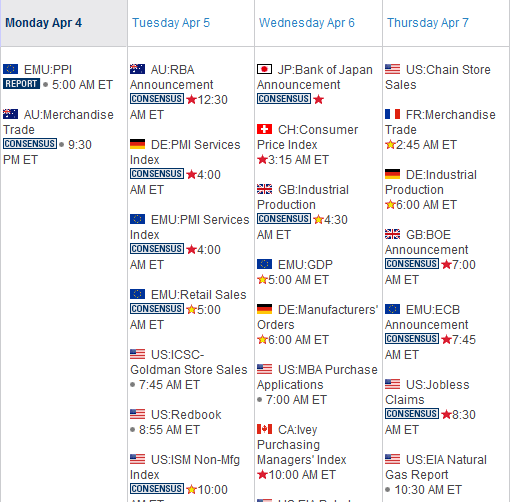 The following chart shows the main features of pre-trading news events. As you can conclude, Forex fundamental news strategies provide excellent opportunities for profits but only if you can control the risks involved.